Bollywood superstar Salman Khan never fails to score big with his Eid releases. Since the last one decade, Salman has scored several 200 Cr and 300 Cr movies during the Eid festive season. 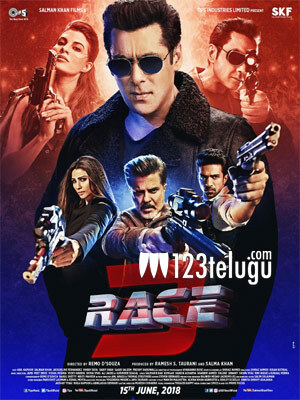 Salman’s Race 3 hit the screens yesterday as an Eid special. Race 3 received bad to average reviews from critics right from the FDFS. However, this didn’t show any impact on the film’s opening collections. On day 1, Race 3 collected Rs 29.17 Cr nett in India and became Bollywood’s highest opener in the first half of 2018, surpassing Tiger Shroff’s Baaghi 2 (Rs 25.10 Crs) and Padmaavat (Rs 24 Cr). Directed by Remo D’Souza, Race 3 also stars popular Bollywood stars like Anil Kapoor, Jacqueline Fernandez, Daisy Shah, Bobby Deol and Saquib Saleem.